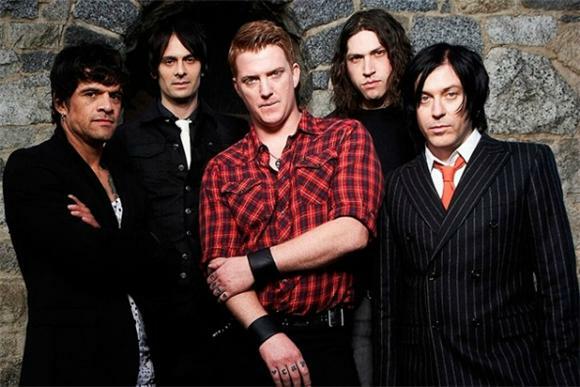 Last week we shared two new songs Queens Of The Stone Age had premiered on Belgian radio, and we came to the conclusion that Josh Homme had spent a lot of time with his early Black Sabbath records, but we're not complaining considering how disappointing the Sabbath reunion is. The latest song to come out of the Belgian recording "Keep Your Eyes Peeled" carries this brooding metal feel with a Layne Staley-esque vocal haunt from Homme. He's always been a bit reminiscent of the late Alice in Chains great, but this new song takes the similarity to a whole new level. So in addition to already saturated star-studded list of cameos being made on ...Like Clockwork, Homme has found a way to bring on icons from the grave. Listen to the song below. ...Like Clockwork is due out June 4th via Matador.